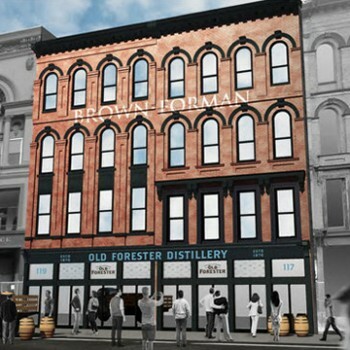 Brown-Forman-owned Old Forester will open its distillery in Louisville this June, almost two years later than initially planned. The US$45 million, 70,000 square foot Old Forester Distilling Co will open its doors on National Bourbon Day (14 June). Old Forester president, Campbell Brown, said: “Nearly 150 years ago, my great, great grandfather, George Garvin Brown, signed and sealed Old Forester with a pledge to craft Bourbon of the highest quality and utmost consistency. The distillery, based on Louisville’s historic Whiskey Row, will offer visitors the chance to learn about the Bourbon-making process. Opening of the Old Forester distillery was delayed after the site narrowly avoided a fire that ripped through Whiskey Row in 2015. Upon opening, the Old Forester Distilling Co will join 10 other distilleries as part of the Kentucky Bourbon Trail tour, and will be the only downtown distillery with a fully-operational cooperage. To celebrate the distillery’s opening, Old Forester will host a special Toast to Whiskey Row event, giving guests the opportunity to be the first to experience the new distillery. The event will feature feature a Q&A with Brown and the brand’s master taster, Jackie Zykan. Upon opening, the distillery will offer tours and tastings every week, from Tuesday until Saturday.